Zazu had the most liked content! I was 5-6 years without a lid. Finally got a 050. I do extensive longlining in Astar and 500, and I couldn’t be happier. I’m 46, with all the associated 500 neck stuff. Seems to not run very much on the A Star window to. It did take a bit to get fitted properly over the phone but the retailer was more than accommodating. One thing to keep in mind is that they are designed to use the visor all the time. So if you are visor up, with windows open/door off it’s a little louder. It’s just the way the visor fits along the Corners by your eyes. Mind you I have just the hush kit. Pretty straight forward lid. But it fits really nice, and I don’t notice it. Shoot! That’s right! A few years back, at a different company, I was issued a little infrared heat gun. And we used 254. Getting back in the seat. Not being pretentious but don’t forget to get your medical first... just in case. Pilot Operating... anyone still doing it? Yes, get a helmet. But consider this....if you go all out and get a decent gallet it’s over 2000.00. That’s a lot of money (possibly debt) to pack around considering that there is a really good chance you won’t use it for a few years after training. Bad things happen and you may have to sell for a loss. It’s not a requirement for ground crew jobs that I know of, and as long as you have the ability to get one, it won’t be a roadblock. Just keep pounding the internet and look around for something as cheap as possible (sph-5?) just to get through and you should probably be able to sell it back to another student at even money. Get the good one once that first PPC is passed. Plus you’ll know what’s important to you in a helmet after wearing the old one. 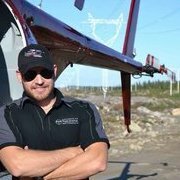 What is going on at delta helicopters? What happens if your customer service rep is in the south and you are in the North? Unless you can account for the disymetry (sp? Lol) of lift, the shape of the helicopter ( parasitic drag/areodynamics) is mostly irrelevant. So, imo... blades. To add to that , I owned my own phone. I was Telus, but switched to Koodoo (owned by Telus, same network) to get this deal. I think it’s over but if you own your phone I would get hold of the loyalty department of whoever you are with and start wheeling and dealing. Hit every kiosk in the mall. To quote a FB post... “Great aircraft, wrong engine”. About the best way to put it. I disagree. Too many generalities. Not to mention, not very respectable. There are a lot of similarities to both lines of work. And, as in all things, in this regard, what exactly are you doing to get that high rate of pay? Or conversly, that low rate of pay. -Take road building for example. Sure lots of guys say they can do it, but boy do lots of guys get fired quick. Laying grade 12 hours a day with rough rock fresh from the quarry, still smoking with AMEX, in the the dark, without anybody to rate your grade...well it's tough. Gotta grease your own machine before and after. Then drive home. By yourself. Mostly do your own maintenance, unless you can't lift it. And, well, no excuses...you have to be able to produce a given amount of road in a given amount of time. Or, you go home. A lot of road building contracts are actually bid with a specific operator in mind. Yes, the ditches are the easy part. -You want to be a hoe operator on a drill rig? Or pipeline? You better be smooth every time. A lot like building diamond drills...people have fingers in there all the time. You make a mistake with a hoe, and people get squished quick. Guys in the bite, all. day. long. -You want to stack logs on a truck? You better know your wood. And you better be quick. And you better be smooth. or the truck drivers will run you off. If you can't run a landing safely, you go home. Lot's of guys try it, thinking they can get off the saw, or stop running chokers, but the fact is not many make it. Or how about feller bunching on cliff sides. Quite a few jobs are based on one particular operator showing up actually doing the job. Or if you want to work a heli landing you better know your stuff. I've seen "low life" chasers run off a few operators. There is a reason for it. -How about rock scaling? A guy needs a real pair for that job. - Or how about "just" a ditch? The ones with stacked pipe, no map, and maybe an electrical line. And you have to pick away one rock at a time with the teeth of the bucket, and not hit the guy in the hole guiding you with his shovel. Not every hoe operator makes 6 figures, but when the work is there, I've known a few that make pretty good money. And there is a reason for it. They work hard. The hours are long. There are a few jobs with "standby" pay but not many. For the most part they have to be moving something to get paid. And just like a helicopter, they are moving material for a given rate, at a given rate an hour. Not everybody can do it. Just like not every pilot can Heli Log. Not every pilot can move drills. But those that do, you usually don't hear from them, they show up, do a job, go home. A west coast owner operator will work every day for 3 months. And they are tired. Most hoe operators aren't paid a daily rate for 4 months and get paid whether it rains or the machine doesn't work. There is a few exceptions, sure but not very many. Most guys just become owner operators. I've actually double dipped. I've flown my guys into a remote site, and then run a little hoe all day. Get in the helicopter and fly home. Running the hoe was harder work. And if you took my salary out of the equation , I was making more money running the hoe. Now I'm sure you could poke holes in this little diatribe all day long. I personally have chosen to work in this industry. I've had good years and bad. I've been paid well, and I've been paid poorly. Much the same as when I operated an excavator or operated well sites, or God forgive me, heli-logged lol! But the one thing I am sure of is this. I'm pretty sure there isn't a gaggle of hoe operators, or truck drivers or heli-loggers sitting around arguing to strangers on a forum, for more pay in their own line of work, because another line of work gets paid equally or more.... They usually just call the pilot a bunch of colorful names (And I assure you "Moron" isn't one of them) , and just switch jobs. Flight Suits! Best Place To Buy One? Work Wear World just had a sale.... Carharts, Dakota double bib front. Depends what you are doing I guess.